We are a personal training company dedicated to inspiring world fitness, one family at a time. Who is a Trunk Trainer? A Trunk Trainer is a reliable, knowledgeable, friendly, excuse busting certified personal trainer that has a trunk of tricks to get you to exercise the way you should for the body you have today. We travel (equipment in the trunk of our vehicles), we meet in the park (hook the TRX to a tree trunk), we use water therapy for injuries, we work with families and new mothers who can't bring their child to a traditional gym. Our gym is open for personal training and offers a women's only gym membership 24 hours a day. We let partners team up to keep costs down for getting individualized help. We offer regular semi-private classes and free classes at our gym. We offer a Corporate Wellness Program to sneak exercise into the middle of the day. We find what makes you love to move and provide realistic fitness advice to all ages and bodies. As a leading provider of personal training services we take pride in offering the best individualized programs to meet your health and wellness vision. We are dedicated to serving the needs of our customers each and every day. With experience in working with seniors, soon-to-be mothers, children, teenagers, and athletes, whatever your age and fitness level, Trunk Trainers can help you get to where you want to be physically and mentally. Degree or certification from an accredited institution, two years experience as a certified personal trainer, established client base, Trunk Trainer certified. 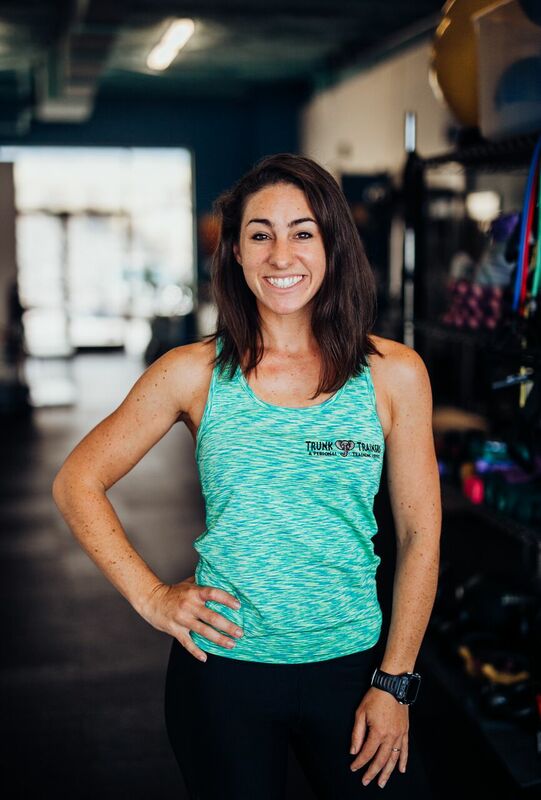 Owner and founder of Trunk Trainers Inc, Kelsie has created a company that encourages average individuals to make fitness a priority for the benefit of the family and community. With a Bachelor of Science and minor in Business Administration from University of Oregon in Eugene, OR and her Personal Trainer Certification with the Aerobics and Fitness Association of America, along with numerous other certifications including Silver and Fit, TRX Suspension Training, YogaFit Level 1, Senior, Prenatal/Postpartum, Certified Prenatal Specialist with Fit For Birth, RPM with Les Mills, and numerous other continuing education units, Kelsie can help almost any population change their lifestyles for the better. Kelsie is married with two boys, ages 3 and 5 years old and is proud to serve as the PTO President at Kealakehe Elementary School. Among other fitness endeavors, she has completed the 2017 Ironman World Championship race held last October, and is working on becoming a certified trainer and instructor with NASM, striving to provide a safe, effective, and relevant personal training company as a resource to the public and other fitness professionals in the community. Certified by an accredited institution, one year training experience, passed Trunk Trainers certification. Having trained as an elite athlete in wrestling for 20 years and then focusing my attention to the fitness and health culture I have developed a desire for improvement and wellness. I began Personal Training in 2012 with the addition of coaching CrossFit in 2015. Everyday we learn more about our bodies, nutrition, environment and the interconnectedness of all that we think and do. The results of our choices now, impact our present and future health. We all have the ability to make adjustments that can truly affect longevity and quality of life. By providing useful tools I'm excited to assist in altering conscious results, empowering you to reach your highest potential. After a career in IT and full-time travel, Wanda’s goal was to find work she loved and would help her maintain a physically active life as a scuba diver, downhill skier, hiker, and animal care-giver. Through volunteer work of assisting elderly during fitness classes, she rekindled her passion for fitness. She started lifting weights in high school and kept it up during college, where she also cross-trained by cycling, doing aerobics, & running 5 to 6 days a week, competing in monthly events. She missed all that action! So, WOW, Work Outs by Wanda, was born. Wanda provides personal training and group fitness instruction (Circuit Strength/Cardio, Yoga) in gyms, homes, or pools to help folks live the lives they want to live by conditioning bodies on a consistent basis with mobility, flexibility and strength programs. She is dedicated to helping you explore how to live a healthier, happier, and more fit life. Born and raised on the Big Island, I grew up as active as possible. From martial arts, to wrestling, to JROTC, there was no off season for me. However, my true love for fitness came to me while in the Army. Taking classes in job-oriented fitness, lifestyle fitness, and recovery, my attraction towards the fitness industry continued to grow. Upon leaving the Army, I was lucky enough to work as a youth parkour and gymnastics coach at Hawaii Action Academy. 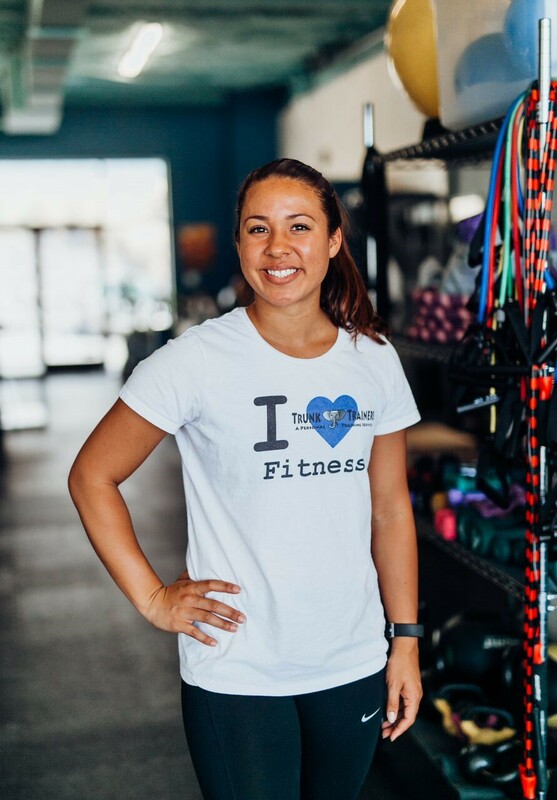 Now, as a NASM certified Personal Trainer, I spend my days training adults at Trunk Trainers, and children at Kuleana Education as a Physical Education teacher. I am looking forward to getting further certifications in the areas of Nutrition, Injury Recovery, and body sculpting. Captain, using her background of 15 years of competitive swimming. Lexie Curesma is a NASM Certified Personal Trainer in our Pro Elefit Internship Program. She is a graduate of Kealakehe High School and is in her last year at Eastern Oregon University. Lexie enjoys playing soccer and is on the women's team at EOU. She is studying Exercise Science and has plans to move back to the Big Island permanently after graduating next year. 13 years of dance, ballet, pointe, tap, jazz, ballroom. Taught Red Cross swimming lessons and was a certified Water Safety Instructor in college. 10 years as a Curves' circuit fitness instructor. 3 years licensed Zumba and Zumba Gold Instructor. Grew up on the East coast of the USA. Began traveling to surf at a pretty young age. Starting off traveling to surf the Caribbean with my brother then central and South America & beyond. I then worked on boats as crew to travel even further. Having visited and sailed around the Galapagos Islands, French Polynesia and Fiji before I was 18. I got turned onto amazing waves in the Polynesian island of Western Samoa in my 20’s. I got involved in a small surf camp in Samoa with a few friends. Eventually becoming more then ½ owner and building it up to a surf & game fishing resort (salanisurf.com) I ended up living down there surf guiding and managing the businesses for 10 years. Some of the waves in Samoa are very heavy/dangerous at times and require a lot of fitness to surf on the big days. That is when I became obsessed with nutrition and training to help optimize my body to be the best in those demanding conditions. From that point on training and living healthy has been a huge part of my life. I moved to the big island in 2015, I continue to run the surf resort from afar as well as now run a big game fishing operation here (grandermarlin.com) I became a NASM CPT in February 2018 and look to further my certificates and fitness career so as to help people achieve their fitness goals and enjoy a healthy, flexible and functioning body.